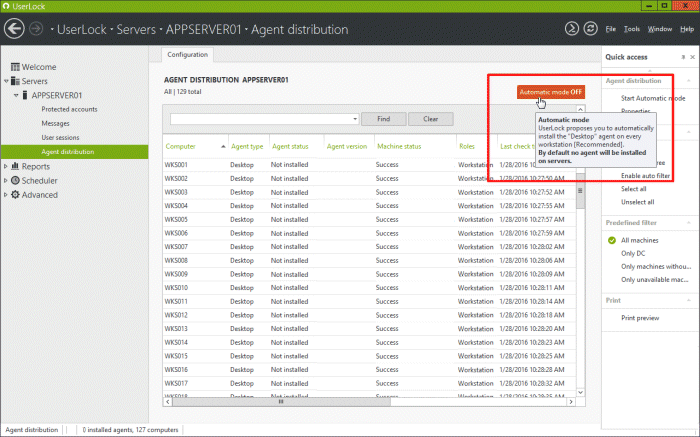 Restrict and limit on where any Active Directory user may logon. UserLock can control access to certain geographies, particular workstations (PC and Mac), employee-owned devices, departments or IP addresses. Outside of these controls access is automatically denied. 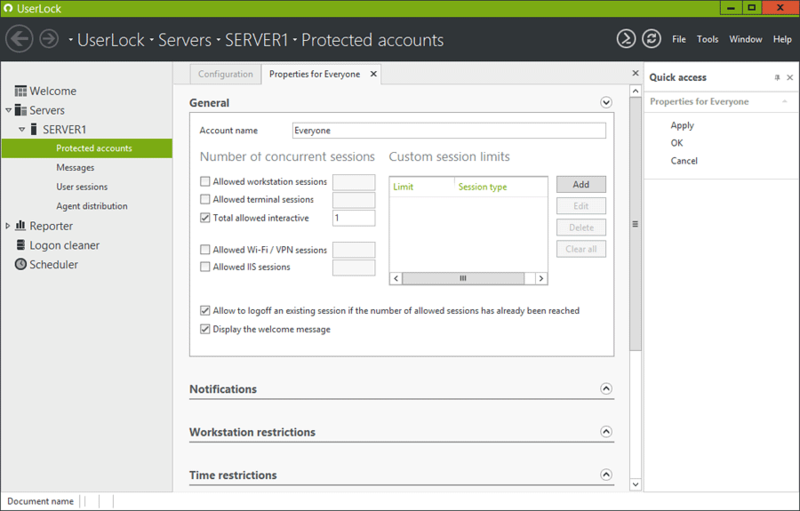 Enforce logon hour restrictions, maximum session length and time quotas for all Active Directory users. Go beyond native controls and set by group, on different session types and force logoff when outside of authorized timeframes. Whether access originates on a PC, laptop, tablet or smartphone, from within or outside the office, UserLock can protect and manage Active Directory user logins across all different session types. Limit the number of initial access points and concurrent sessions to control or prevent simultaneous logins from a single user. Set restrictions by user, group, organizational unit and session type. Ensure all access is attributed to an individual user. 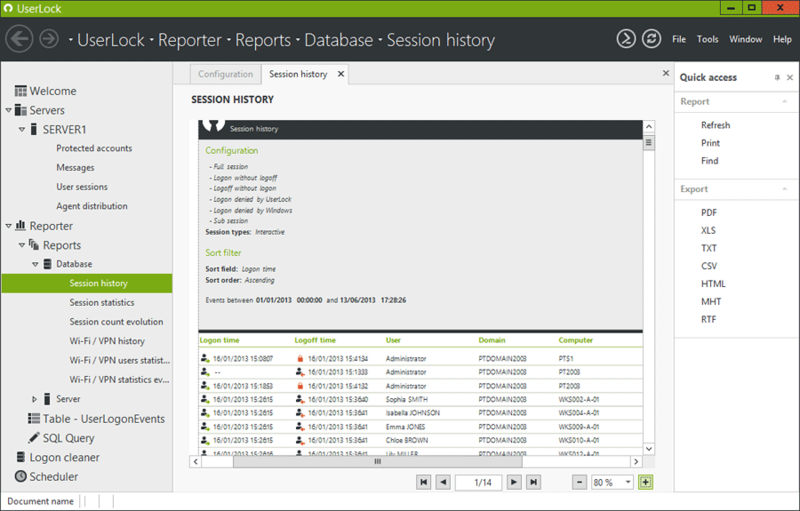 UserLock offers real-time visibility and insight into all users’ logon and logoff activity across an entire Windows Server Active Directory network. Detect and immediately respond to suspicious access at a glance. Get real-time alerts on specific connection events and instantly react to suspicious access behavior. Choose to also alert end-users on potential compromised or stolen credentials. If you'd like to have a chat with us about Userlock, please select this option. If you'd prefer to email or phone us, our details are also here.